In the private sector, a chief executive accountable for such rotten results would have been fired.If an organisation misses targets, mangles statistics, mismanages capital assets, underestimates costs, undertakes trifling projects and underperforms in a critical task year after year, will it survive? The answer is a resounding “yes” if it is the Environmental Protection Department. The Audit Commission recently issued a report on the government’s management of the garbage, officially known as municipal solid waste, which Hong Kong produced over the decade to 2015. The Environmental Protection Department is responsible for waste management and has an annual budget of HK$2.05 billion to do the job. 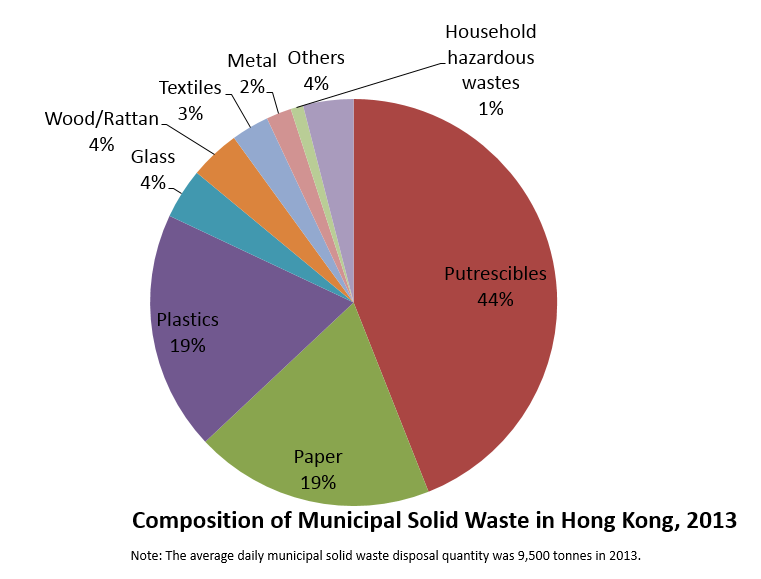 By every measure, including the department’s own as set out in its Policy Framework for the Management of Municipal Solid Waste (2005-2014), and the Hong Kong Blueprint for Sustainable Use of Resources (2013-2022), it fell short. Key performance indicators for waste management have all deteriorated. Per capita waste disposed daily increased from 1.27kg in 2011 to 1.35kg in 2014. Waste recovered and recycled dropped from 49 per cent in 2009 to 37 per cent in 2013. Food waste increased from 3,227 tonnes per day in 2004 to 3,648 tonnes in 2013. The policy framework set a target of disposing of 25 per cent of waste in landfills by 2014. As of 2013, 63 per cent was still dumped in landfills. The department’s data, used to manage ongoing programmes, is rubbish (pun intended). The Audit Commission cites a litany of statistical errors. The amount of waste recovered for recycling was inflated because the department included waste imported for processing. Its forecast of a 50 per cent drop in food waste from school lunches was overstated because only 12 per cent of students ate lunch in school. It could produce no quantifiable data to explain its changing assumptions about the serviceable life of the landfills. It now claims that all landfills will be full by 2018. The Audit Commission believes they should last some years beyond 2018. The department priced phrase 1 of the Organic Waste Treatment Facilities, to recycle mainly food waste, at HK$489 million in 2010. But because it omitted or significantly underestimated the cost of some components, the cost surged to HK$1.589 billion in 2014. Target dates for rolling out the producer responsibility scheme for six products, based on the “polluter pays” principle, have not been met. Only the first two phases of the plastic shopping bag levy have been implemented, in 2009 and 2015, six to eight years behind target. The scheme has yet to be implemented for the other five products – waste electrical and electronic equipment, vehicle tyres, glass bottles, packaging materials and rechargeable batteries. Only four of the 12 government departments have signed up to the Food Wise Hong Kong Campaign, which promotes reduction of food waste, two years after its launch. With great fanfare, the department did launch a series of waste reduction, recovery and recycling initiatives. Their impact, however, has been inconsequential. Net reduction of plastic shopping bags disposed of in landfills in 2009-2013 was 11,544 tonnes, or an infinitesimal amount of total waste disposed. The HK$308 million EcoPark was trumpeted as a hi-tech hub but the industry remains at the lowest rung of the value-added ladder. Photo: May TseAs of June, only 4.6 per cent of the 43,091 households in 16 public rental housing estates were taking part in the food waste recycling scheme, fewer than half the department’s 10 per cent estimate. Though not discussed in the Audit Commission’s report, the recyclable waste collected in the three-colour recycling bins is no more than 900 tonnes per year, or 0.02 per cent of the waste generated. 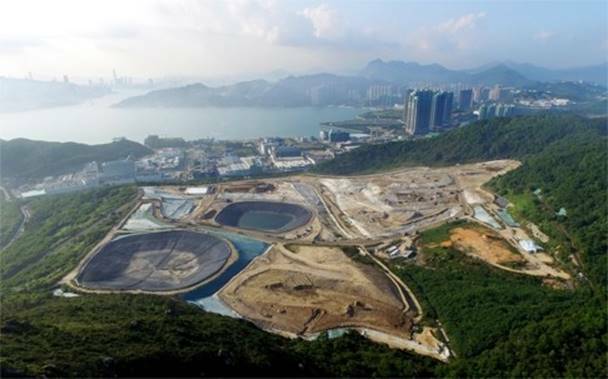 The HK$308 million EcoPark in Tuen Mun was trumpeted as a hi-tech hub to develop a recycling industry. But the industry remains at the lowest rung of the value-added ladder, mainly collecting, baling and packaging waste materials. One operator started 24 months later than stipulated in the tenancy agreement. In another lot, operations started five years later. From August 2008 to June 2015, a HK$16 million pilot food waste treatment plant was operating at only 22 per cent of capacity. Despite all these failings, here’s where the department’s record truly stinks: the Audit Commission’s 2015 report on the dismal state of Hong Kong’s waste management echoes its 2008 report. At the time, the Legislative Council’s Public Accounts Committee expressed serious concern over the management of the Environmental Protection Department as well as “deep regret and sadness that the secretary for the environment lacks a sense of urgency and is not proactive enough” in tackling the problem of municipal solid waste. Seven years later, nothing has changed. The audit report describes a mismanaged organisation that lacks coordination with other government departments, produces inaccurate information and statistics, and engages in inconsequential efforts to tackle waste reduction and recycling. It cannot effectively manage ongoing programmes, resulting in missed targets and deteriorating performance. In the private sector, a chief executive accountable for such rotten results would have been fired. Yet the previous environment secretary, Edward Yau Tang-wah, is now director of the Chief Executive’s Office. The current one, Wong Kam-sing, is this week attending the UN climate change conference in Paris. The Environmental Protection Department’s director, Anissa Wong Sean-yee, has been in her job since 2006. Despite the audit report, all three are likely to keep their highly paid jobs in Hong Kong’s non-accountable government. Given our colour-coded dustbins have been in place for years, one would have thought that separation of waste for recycling would be a way of life now rather than a goal still to be achieved. But the sad reality is that there are still far too many households and individuals who pay little regard to the importance of recycling. The problem is compounded by the insufficient support given to the recycling industry. Thankfully, that could be about to change. In a belated step, the government has launched a HK$1 billion fund to enhance the sustainability of the industry. There are two funding programmes – a matching grant for upgrading and expanding recycling operations and one for non-profit and trade support organisations. The former offers grants equal to 50 per cent of approved expenditure for a two-year period for up to three projects with cumulative funding of HK$5 million; the latter gives 100 per cent grants capped at HK$15 million. The aim is to raise the quantity of recyclables, promote markets for products made of recycled materials and, ultimately, ease the burden on landfills. But the industry appears to be sceptical about how effective the scheme will be. Some traders are wary about investing in new machinery when their profit margins are shrinking amid soaring rents and falling plastic and oil prices. Their concerns are valid. Officials should listen to their views and try harder to meet their needs. Recycling of plastic bottles in the city has reportedly been suspended recently because there is no money to be made in the business. There are also suggestions that as soon as households have sorted their garbage into recycling bins, cleaners mix them together and send them to landfills. If that is the case, it would make a mockery of the upstream efforts in recycling. Our regional neighbours, like Japan and Taiwan, have made much progress on waste reduction and recycling. It is a shame that we have spent so much effort in expanding our landfills, but are still tip-toeing around the introduction of a waste charge. The government is seeking to raise the recycling rate to 55 per cent by 2022. Laudable as it is, the goal cannot be achieved unless there are good business prospects for the recycling industry. The funding scheme is a long overdue step to give the industry a helping hand. But it is important that the needs of the industry are addressed. The slowdown of the world economy, coupled with relatively low oil prices, has led to the price of recyclables plummeting this year, with plastics affected most. Many recyclers have stopped collecting used plastic as their high running costs cannot be covered by such low-value recyclables. Furthermore, it is quite common for recyclers to have to pay an “entrance” fee to gain access to large residential estates or shopping malls to collect recyclables and this further adds to their financial burden. Besides plastics, the price of metal and paper have also dropped substantially. Recently, I walked around several recycling shops; the cheapest price for iron was 50 cents per kilogram, paper, 40 cents per kilogram – with no price offered for plastic. Worryingly, without government and private-sector assistance, even if we put clean plastic into recycling bins, it will probably end up in landfills. The government’s HK$1 billion Recycling Fund to reduce waste disposal is finally with us, and is accepting applications from this month. Officials hope the fund will enhance the efficiency of the recycling industry by subsidising the purchase of machines and trucks, as well as training for workers and the like. However, having talked to people who run recycling businesses, it seems the industry is not simply looking for subsidies to buy more or new machinery; instead, they want the fund to help tackle their immediate challenge – the high costs of labour, rent, insurance and other items that the current value of recyclables cannot even cover, let alone enable them to make a profit. Our neighbour Taipei has regulations that require producers to be responsible for the waste generated by their businesses. They are required by law to contribute money to a fund established by the government to subsidise collectors and therefore ensure more types of recyclables are collected. Here in Hong Kong, only construction and demolition waste, plus plastic shopping bags, have mandatory charges. We are still awaiting effective policies for waste charging and producer responsibility. The problem appears to be that the government doesn’t want to give recurrent subsidies to help the recycling industry, hence the one-off Recycling Fund. It may not be best for the government to give long-term subsidies to the industry, but it should speed up the introduction of producer responsibility legislation so recyclers who collect packaging waste on their behalf get financial support. Without a waste charging law, most businesses and individuals do not take serious steps to manage their waste. Most corporations take a wait-and-see attitude on government regulations. On their own, they are unlikely to provide any resources for waste management. Individuals, too, often don’t see the full picture. Take wedding banquets. The hosts often thought they were being environmentally friendly by allowing a non-governmental organisation to collect leftover food at the end – yet most are unwilling to pay the NGO’s transport costs. Few people see that they are the ones who are responsible for the waste generated, and the NGOs are providing a service. With the Recycling Fund, the government has taken another step to help the industry. We should welcome this step, however small. Companies in Hong Kong should also do their part. They should commit a small amount of money to managing their waste and, more importantly, set targets to encourage their employees to reduce waste at source. Cutting the use of plastic water bottles could be a good starting point. For years, Christina Yang has been conscientiously sorting the plastic bottles, aluminium cans and recyclable paper from her rubbish and placing them in the appropriate bins for recycling. But last summer, a cleaning lady in her building opened her eyes to what really happened to the materials that were supposed to be recycled. The property managers for her building couldn’t give a satisfactory answer either. Despite the discouraging response, Yang, a career coach and environmental consultant in her 40s, continues to separate her rubbish. There have long been complaints about cleaners mixing trash and recyclable materials, all of which ends up in landfills: in 2013 the SCMP filmed government contract workers doing just that in Causeway Bay and Wan Chai, and residents have regularly reported similar incidents with rubbish disposal. That is why, since last year, government contractors have been required to use clearly labelled plastic bags for recyclable materials so everyone can keep an eye on them, says Wong Hon-meng, an assistant director at the Environmental Protection Department. But both the recycling sector and environment officials acknowledge the problem goes beyond cleaners not handling trash properly: it’s hard to make money from recycling materials and the costs of sorting and transporting recyclables can far exceed what companies earn from selling the materials. The city just doesn’t make it worthwhile to recycle and this is creating a pressing issue – Hong Kong’s propensity for generating more trash is matched by the declining capacity of its landfills. A 2013 report by the EPD estimates that all three landfills in the New Territories will be full by 2019. The report also shows that Hong Kong produces more rubbish each day compared to nearby cities at a similar level of development: each person in the Tokyo metropolitan area generates about 0.77kg of trash daily compared 1kg per day for a Taipei resident, while Hongkongers top them all by each producing 1.36kg per day. 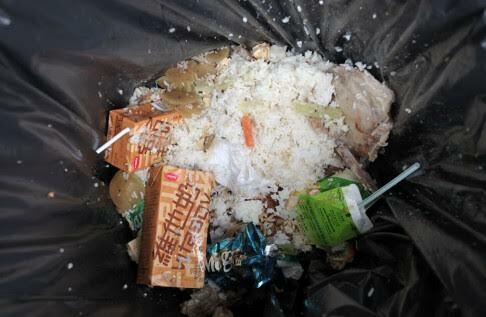 The EPD hopes to reduce the amount thrown out by each person to 0.8kg per day by 2022. But even as policymakers have taken to warning in recent years how Hong Kong landfills are rapidly running out of space, the city is recycling increasingly less of its rubbish: the amount that is processed and reused has declined from 52 per cent in 2010 to 37 per cent in 2013. This may improve as the government gears up to introduce rubbish disposal charges for households and businesses, with a series of public briefings in June. A panel of the government-appointed Council for Sustainable Development last year proposed fees of up to 39 cents per kg under a pay-as-you-throw scheme; based on estimates that one person generates about 1.27kg of waste per day, the bill for a three-person household would come up to HK$44 each month. 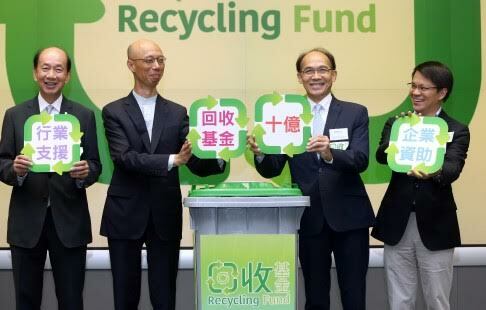 In 2014 the government also committed HK$1 billion for a new fund to help upgrade technology and infrastructure in the recycling sector and an advisory panel was set up in August to guide its operation. Because Hong Kong has few of the factories and farms that could utilise waste plastic and compost (from food waste), most of its recycled material is exported, says Wong of the EPD. This means local recyclers’ earnings are heavily dependent on the global prices of oil, plastic and other commodities. If it’s cheaper to buy new plastic, manufacturers will naturally ignore recycled material. Wong says the new fund will help recycling companies adopt modern technologies that may bring in a more stable source of revenue, for example, by converting waste oil into biodiesel. Jacky Lau Yiu-shing, chief director of the Hong Kong Recycle Materials and Reproduction Business General Association, believes an economic incentive should boost recycling rates. Lau, who runs recycler Lau Choi Kee Papers Co, says a lot of paper and aluminium (mostly drink cans) are recycled because there is a well-established market for those materials; but that’s not the case for plastic. As a result, paper makes up 52 per cent of all recycled matter while plastics comprise just 12 per cent, even though both materials each account for about 19 per cent of waste generated in Hong Kong. Moreover, Lau says government contractors are often forced to dump contents collected from roadside recycling bins with other trash because they are heavily contaminated with things such as half-eaten meals and cigarette butts. Meanwhile, the recycling sector is going through a tough patch because the market for recycled materials isn’t very good; it’s also tiring and dirty work, Lau says, so very few young people want to enter the industry, with the youngest workers already in their 40s. Alfred Wong perhaps presents new prospects for recycling. The 27-year-old Wong is general manager of HK Recycles, which he describes as a logistics rather than recycling business. The company, which was set up in 2012 by two socially minded entrepreneurs, Brian Mak and Mike Shum, has been able to recycle almost 90 per cent of the trash collected from some 600 clients, including office buildings and property management companies. Wong says the key to how it has been able to recycle so much is simple: HK Recycles runs workshops and seminars for clients on how to separate their waste before collecting recyclable materials from them. Fees are charged to cover the cost of moving the recyclable materials to companies that do the processing. HK Recycles is able to collect clean and well-sorted recyclable materials because their collectors talk to clients and offer tips on what can and cannot be recycled (drink cartons, for example, are not suitable). And the task is made easier by issuing zippered heavy-duty plastic bags prominently labelled for glass, paper, plastic and metal. Wong says there has been so much interest in HK Recycles services that they have had to take down the fee listing on its webpage. (Households are typically charged HK$39 for a weekly collection and offices between HK$100 and HK$200. There are also monthly corporate packages that include recycling data and workshops for between HK$500 and HK$1,000.) Even so, there are 400 to 500 potential clients on their waiting list. “The industry complains that people don’t know how to sort and how to recycle, but from our experience, that’s actually not true,” Alfred Wong says. Details have yet to emerge on the government’s new recycling fund but Wong wonders how effective it can be if local recycling contractors prove reluctant to modernise their operations. Many companies conceded in a Hong Kong Productivity Council report last year that collection is inefficient and expensive because they must pay to pick up the recyclable materials from various districts. Yet none of the recycling companies that Wong spoke to expressed any interest when he outlined the HK Recycles business model and the software used to track and gather data about their operations. Following a successful inaugural Zero Waste Week in June, environmental campaigners have added a Zero Waste corporate challenge to the programmes rolling out under the annual Hong Kong Clean-up event. Now in its 15th year, the clean-up drive starts tomorrow and runs until November 1. Last year, 51,064 volunteers collected 3,894 tonnes of rubbish from across Hong Kong. Volunteers can sign up for the clean-up challenge that best fits their interests and schedules. City Clean-up: with tips from an online toolkit, families, schools and offices can find easy ways to trim back what they throw out. Country Clean-up: nature lovers may prefer to help by collecting rubbish left along hiking trails and in country parks, which spoil our enjoyment of the natural world. Coastal Clean-up: many groups have organised rewarding days out helping to clear up marine debris, especially plastic, which is a constant blight on the city’s beaches. Lisa Christensen and Nissa Marion initiated the Zero Waste event three months ago to encourage Hongkongers to reduce the amount of rubbish sent to landfills by using fewer disposable items and recycling resources. And with the corporate challenge, they hope to focus business efforts by helping them set targets and come up with comprehensive solutions. On July 29, Hong Kong Free Press carried a story referring to a video uploaded onto Facebook: “video of workers throwing glass bottles intended for recycling into rubbish bins”. The video shows workers emptying glass bottles from small bins into bigger ones. The assumption behind the caption was the glass bottles collected from recycling bins were being transferred to bigger bins heading for the landfill. This assumption was likely made because of a belief that there is no point to separate recyclables because they all end up in landfills in Hong Kong. After all, this is a belief held by a lot of people. But the facts were quite different in this case. The workers filmed had unloaded the collected glass bottles into bigger bins in order to optimise the carrying capacity of the collection vehicle. In other words, they were transferring the bottles from smaller to bigger bins to make the onward transport more efficient. We have GPS records and written receipts showing that after consolidation of the glass bottles, the collection vehicle then went to Tuen Mun to deliver over two tonnes of recyclable glass bottles to the designated recycler, who uses waste glass for remanufacturing. How do we know this? These are government-hired contractors. Glass recycling is one of our priorities. Over the past two years, we have consulted and got public support to implement a mandatory producer responsibility scheme (PRS) for glass bottles; and we have now presented how the scheme should work to the Legislative Council. We have put legislation to the Legislative Council on 8 July 2015 and we look forward to its passage in the next legislative year. At the same time, we have expanded the glass collection network from covering 13% of the population to 70%. 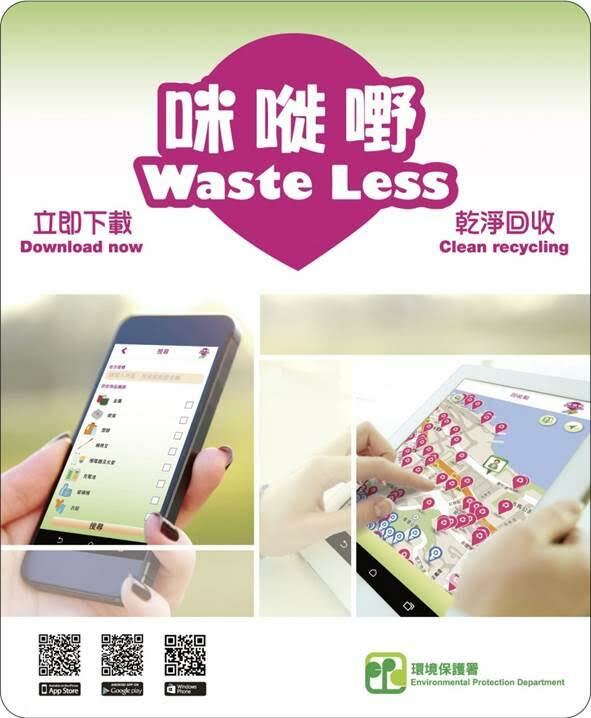 If you want to find recycling bins near where you are, have you tried our Waste Less app? We are also actively collaborating with non-governmental organisations, as well as with major mall operators with large numbers of eateries and restaurants to place recycling bins at the best locations so that more glass bottles can be collected. While Hong Kong generates about 50,000 tonnes of waste glass beverage containers per year, we have the capacity to process most of this quantity locally into useful materials, such as eco-pavers (CTA: Tiostone, run by an incinerator promoting Professor from HK Poly U uses flyash mixed with glass in a cold process that does not kiln bake the pavers, hence they will leach into the ground) , construction materials and sand. You may also ask what happens to other types of recyclables, such as paper and plastics, which together make up about 38% of Hong Kong’s total municipal solid waste of about 9,500 tonnes per day. Plastic is a major problem. To reduce waste plastic ending up in landfills, Hong Kong has to organize waste plastic collection in such ways that help to increase its commercial value. Waste plastic that has been contaminated (e.g. plastic bottles still with drinks inside, plastic that has been mixed with other non-recyclable waste) will not be collected. The cost for sorting it all out once more is just too costly; hence they end up at landfills. To enhance the quality of recyclables, we are running a new campaign to encourage clean recycling and help people to understand the importance of separating recyclables without contamination. (CTA: yes we know what we should have done a long time ago already was to mandate source separation of recyclable items, but we want to just burn everything instead) We have also just set-up a HK$1 billion Recycling Fund to help the local collection and recycling trade to improve their skills, organization and methods so that more recyclables can be collected, reused and recycled. An advisory committee has also been established to facilitate the operation of the newly set up fund. To strengthen the effectiveness of our efforts in recycling, the Government has also revised its contracts with cleaning contractors to collect the recyclables at each recyclable collection points. The contractors are also required to sort out refuses mingled with the recyclables and deliver the recyclables to the designated recyclers on the same day. Moreover, the contractor is required to use transparent bags to facilitate public monitoring. Everyone can help too. If you do see any questionable activities, please let us know (contact no: 2838 3111). We will check it out like we did with the video. Hong Kong people as a whole need to change our habits if we are to transit from a wasteful society to one that is much more careful about the use of resources, as well as one that is committed to turn waste-to-resources. The front-runners in the US and the EU when it comes to waste management presented their experiences in Brussels in March 4. A selected audience composed of members of the European Parliament, European Commission officials and stakeholders learned about the good practices from San Francisco and the province of Treviso in northern Italy. In the event Joan-Marc Simon, executive director of Zero Waste Europe presented the zero waste philosophy and how it is necessary to design products without toxics and keeping in mind how they will be reintroduced into the technical or natural cycle, the necessity to optimise separate collection and finally reduce resource use. 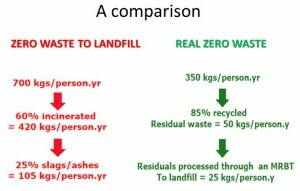 It was also made clear the difference between Zero Waste to Landfill and real Zero Waste by comparing both approaches with concrete examples of performance. The event continued with the presentation of Kurt Vandenberghe, Director for Climate Action and Resource Efficiency in the European Commission. Mr Vandenberghe welcomed the initiative to organise a workshop about best practices and noted that ecoefficiency fixes are important but they will not be enough to reverse the current unsustainability trend and changes in the way we produce and consume will be needed. Moreover confirmed the commitment of the EC to present a more ambitious proposal for the Circular Economy which takes into account waste and products. Jack Macy from the Zero Waste program in the city of San Francisco started his presentation building the link between waste and climate policy, with the experience of carbon capture by using compost on rangeland. He went on to present the exerience of San Francisco, based on the “fantastic three”; separate collection door-to-door in three waste streams, organic waste, recyclables and residuals. The system is optimised with pay-as-you-throw which makes waste generators pay according to how much waste they take out. Prevention measures such as banning single-use plastic carrier bags, single-use plastic water-bottles or extended polistyrene complete a model which represents the state of the art in the US. Marco Mattiello presented the most succesful practice in Europe so far, in which the district of 550,000 people covered by Contarina has achieved recycling rates of 85% and residual waste rates -what is sent for disposal after recycling- of only 53kg. But faithful to the zero waste spirit Contarina wants to continue improving and has set itself recycling targets of 96,7% and prevention targets of reducing 80% which will mean producing only 10kg per person per year –average residual wste in EU is 250kg-. Mattiello showed how in Contarina this has helped reduce costs and create jobs. JM Simon concluded the event by highlighting the fact that these transitions have taken place in less than a decade and hence prove that it is possible to achieve high separate collections rates in less time than what is needed to build an incinerator plant. Simon noted that three factors have made possible these initiatives; political leadeship, source separation of organics and not having invested into incineration capacity, and warned that the European Commission has been stopping separate collection of organic waste since 15 years and has been facilitating growth of incineration since 10 years. These are two things that need to change in order to make possible a circular economy. Secretary for the Environment Wong Kam-sing’s proposed waste charging scheme is another example of our overpaid principal officials cherry-picking an idea without addressing the root cause of the problem (“Bill on charging for waste ‘likely to be aggressive'”, February 18). They visited countries to examine incinerators, but not their recycling effort. They look at Taipei and other countries to examine waste charging, but not how they create the infrastructure to complement waste charging. Taiwan introduced a pay scheme for garbage only after implementing a comprehensive waste management plan, including aggressive waste separation at source and recycling. Just charging people for waste means added costs without addressing the root problem: the absence of waste separation at source so that recyclable waste and waste delivered to landfills and incinerator are sorted separately. All the waste that is collected after waste charging is implemented still ends up in the landfills in the same black plastic bag as in today’s arrangement. A waste charging system does not end with the collection of fees. Complementary measures must be implemented at the same time. Before official implementation of the waste charge, a “Keep Trash Off the Ground” policy and “3-in-1 Resource Recovery Scheme” were carried out by the Taipei government in 1996 and 1997, respectively. The former made sure that people must classify waste at home and hand rubbish to the collection vehicles at specified times; the latter required the public to hand recyclables to the resource recovery vehicles that follow the waste collection vehicles twice a week, integrating waste separation, resource recycling and waste collection at one shot. Since 2003, resource recovery collection has increased to five times a week, and a free recovery service for kitchen waste is also provided. Since 2005, compulsory recycling has been in place. The “Hong Kong: Blueprint for Sustainable Use of Resources 2013-2022” shows no plan for Hong Kong to implement a city-wide waste separation at source, the only developed city in the world that does not do so. Yet, secretary Wong is proposing to do what bureaucrats do best: creating another bureaucracy headed by two senior officials to oversee the waste charging scheme. The scheme should not be approved by Legco unless and until a truly holistic waste management policy is developed that includes waste separation at source, aggressive recycling, and the deployment of advanced thermal treatment technology. What has changed since this statement ? well the only thing is that hypocrite Chan Hak Kan is now directed by DAB to support the incinerator package.